“I’d just like to thank you again for the excellent performance at last nights concert. The Taverham Band has always been very good, but every year you always seem to get better to me, and last nights audience was a true testament of the standard you produce, our largest yet. 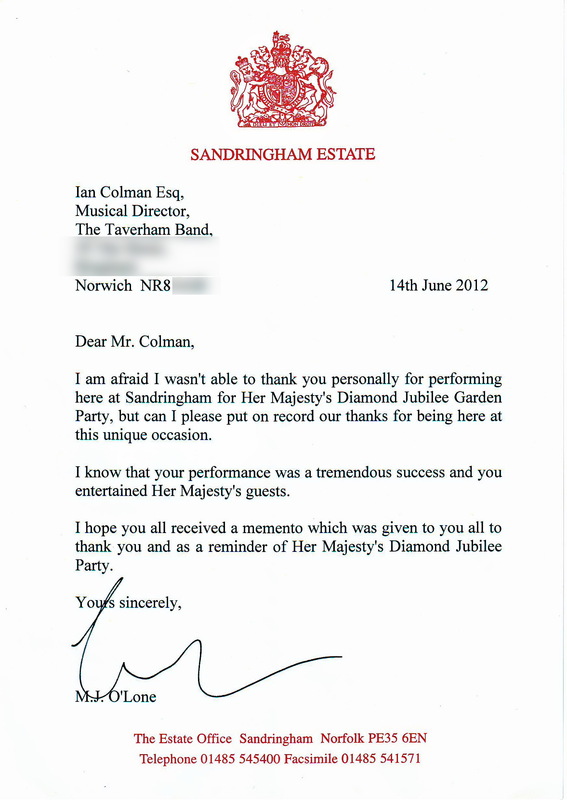 I spent a few hours in Thetford this morning, and have received many comments about how everyone enjoyed the occasion, not just the band’s performance, but the easy manner in which you relate to the audience. I thought the lady sitting next to me was close to having an accident with the amount of laughter she was producing! “Thank you for coming all the way to King’s Lynn for the Justice Service on Sunday. “It was wonderful to receive the cheque for £2,700 raised by the Taverham Band. This contribution will make an enormous difference to the charity and our work with people living with and affected by PSP. The money will help us with our work in Norwich and Norfolk, where we operate support groups and provide help and advice via a Development Officer and PSP Nurse Specialist. 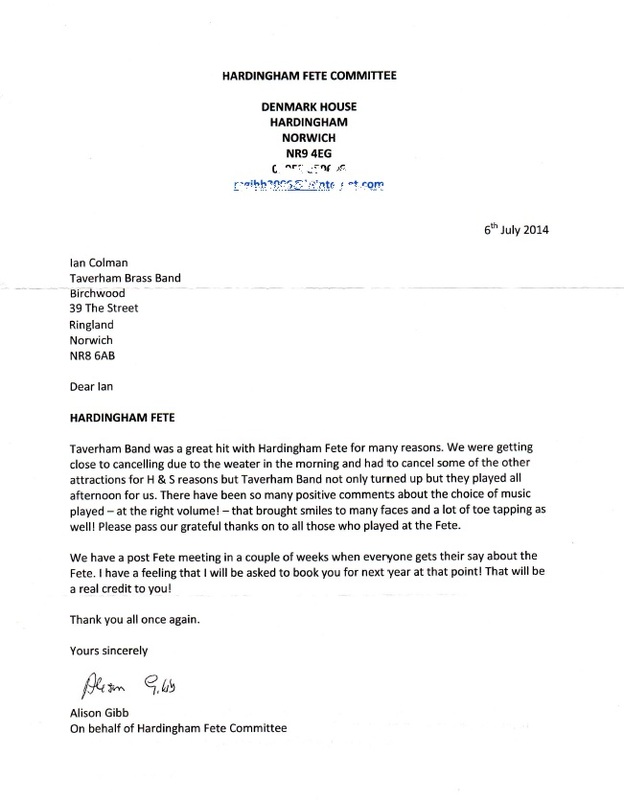 “I write to thank you an all the members of the Taverham Band for your superb playing at Monday night’s Emergency Services Concert at Norwich Cathedral.